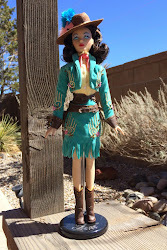 SewWest: What did I like about the Getaway at the Sewing Workshop? 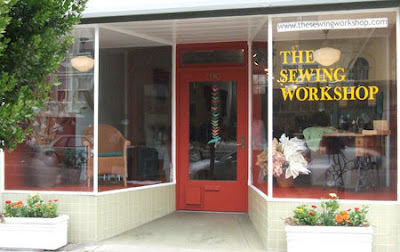 What did I like about the Getaway at the Sewing Workshop? Time to work, with minimal interruptions. I felt productive and inspired. Immersion in sewing. Sewing from Thursday evening through Sunday morning. Bliss! I never have that much time to focus on garment making. I love Linda’s problem-solving approach—it’s a combination of calm, knowing the pattern, learning the fabric, learning the body the garment will be made for. Strangely,I'd describe it as a cross of Zen and analysis. Trunk show, seeing all the garments made up and being able to try them on for fit. Sewing Workshop’s patterns are not based on a single block. They develop the patterns from existing clothes from different sources. With such an approach, trying on is very helpful. Visit to Satin Moon. It’s a nice, albeit tiny, fabric store. Exquisite stuff and the proprietors are quirky in a nice way. Not inexpensive, but there are some unique and gorgeous fabrics there. Yves St. Laurent exhibit at the deYoung museum. OMG, you must see this!! There were a lot of amazing garments, but the impression I came away with was how ahead of the curve he was. There were ensembles that any of us would be thrilled to wear today, yet the labels indicated they were from the early 60s! This really brought home to me how much influence he had on how we live today. Aside from that, numerous pieces of eye candy, and a fair share of amusing arty pieces. Dinner with Erica. DF’s niece lives in San Francisco, so it was lovely to meet another member of the family of which I will someday be a member. We ate at a small but wonderful Italian place right up the street from the Laurel Inn, my home away from home. Yes, I know I'm being somewhat repetitious, having done the same last time. But isn't that part of the joy of repeat visits to the same city? It was a smaller group than usual, which was great. Little competition for help, easy access to the serger and the irons. I got to meet some really cool people. The other women in the class were an interesting group of smart, capable people. It's nice to be with like-minded, intelligent women who sew. Sounds great! Glad you're back to tell us all about it. Sounds like you had a really fabulous time! Looking forward to the pictures. i was checking back and hoping for your reflections. is sounds absolutely fabulous, and I am watching the ysl film as i am writing you. super interesting! Sounds like a joyous time. "I love Linda’s problem-solving approach—it’s a combination of calm, knowing the pattern, learning the fabric, learning the body the garment will be made for. Strangely,I'd describe it as a cross of Zen and analysis." I'd love to hear more about this in a future post if you are so inclined! Thanks a million for this post and the photos and your observations from the getaway!